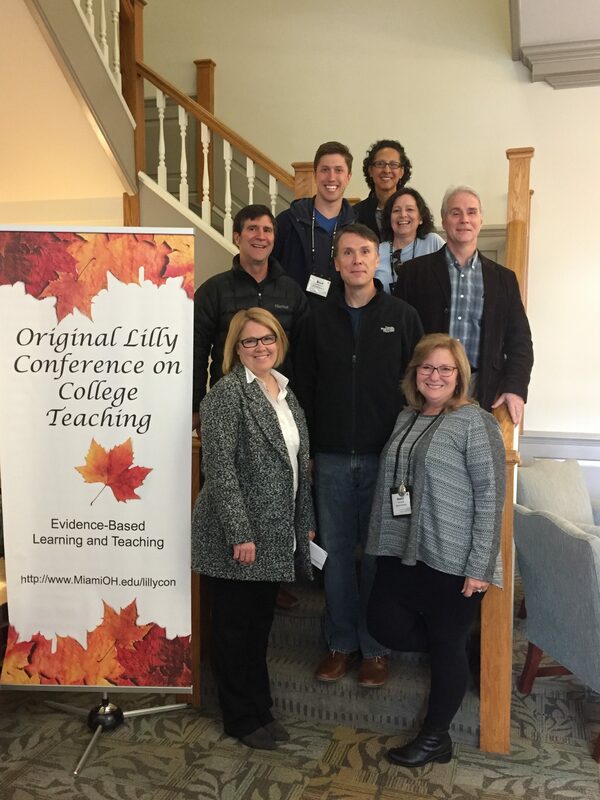 Belmont University was well-represented at the 2016 Lilly Conference on College Teaching, recently held at Miami University in Oxford, Ohio. A total of 10 Belmont faculty members were in attendance representing the academic departments of Physical Therapy, English, Mathematics, Psychological Science, Nursing and Sport Science as well as the Teaching Center. Belmont faculty members contributed to three presentations that aligned with the conference’s theme of Evidence-Based Learning and Teaching. Drs. Lucyellen Dahlgren (nursing) and Suzanne Greenwalt (physical therapy) provided a poster titled, “Effects of a Short Interprofessional Education (IPE) Program on Student Attitudes Toward Interprofessional Education” during the interactive poster session. The poster described how IPE orientation has been shown to be effective in positively impacting students’ attitudes toward interprofessional education, facilitating an understanding of each disciplines’ roles and promoting quality in healthcare practice. Assistant Professors of English Drs. Sue Trout and Jason Lovvorn gave a presentation titled, “Beyond Page One of Google: Getting Students to Research and Write Toward Deep Learning,” where they described two general education classes that encourage deep learning and provide strategies for classes within other disciplines. They articulated opportunities for using experiential learning and oral history classes to elicit intentional and reflective learning and encourage students to engage with research and writing within their disciplines. Additionally, Drs. Pete Giordano (psychological science) and Michael Pinter (teaching center and mathematics) delivered an invited presentation titled, “Greatest Hits: 10 Pretty Darn Good Teaching Ideas.” They discussed key teaching and learning ideas from a variety of pedagogical experts, including several who have led workshops at Belmont. They included important contributions by Barbara Walvoord, Parker Palmer, Craig Nelson, Ken Bain, Jose Bowen and a few additional well-known experts who have been a collective powerful influence on their teaching over a span of many years. 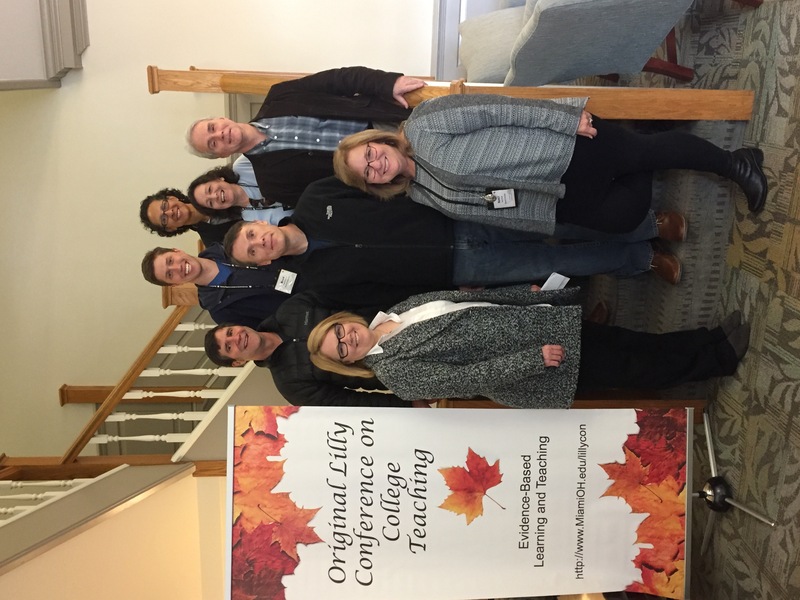 The Lilly Conference on College Teaching has been gathering national and international scholars together for the purpose of discussing questions and insights regarding teaching and learning for 35 years.